In 1964, at age 21, Gerard Malanga was already the celebrity poet-photographer-Golden Boy of Andy Warhol's Factory; he'd starred in Warhol movies and his poetry had appeared in such prestigious literary magazines as Poetry, Art & Literature, Partisan Review and The New Yorker. This monumental retrospective volume includes all the major highlights of Malanga's previously published work, plus many new or rediscovered poems appearing here in book form for the first time. 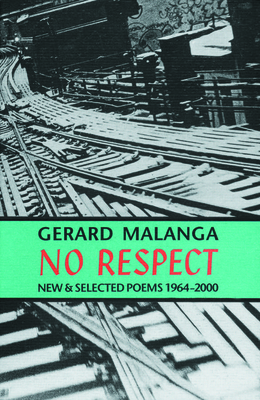 A poetic testament spanning almost four decades, No Respect firmly establishes Malanga's respect-worthy place in our recent literary history. From the glamorous, sophisticated mid-Sixties "Fashion Poems" to the elegiac, ruminative Nineties "Memory's Snapshots", these glittering, multifaceted lyric pieces arrest our attention with their beautiful reflective surfaces, casting subtly oblique shadows that linger on the imagination's lens ("I am a camera / recording").